Don’t be fooled into thinking a 95″ frame isn’t still a viable option on court. Hidden under a variety of paintjobs, many of today’s top players are still wielding a classic Mid Plus sized frame. And for good reason. We never cease to be surprised at the power this model produces. From baseline grinding to rocket launched serves, the new TC95 V3 will impress from the first hit. The open sting bed combined with narrow beam width makes this frame a spin generator in a league of its own. Select the 70RA version if you like to dominate from the back of the court, or the 63RA if you prefer slightly enhanced feel closer to the net. I have this TC95 V3 16×19 in 330g/12pts hl version. I used to own an identical spec V2, and while I loved the results I could never quite get used to the feel. There were always some odd vibrations that I really disliked, so I ended up selling it. This V3 though is for some odd reason completely different, feel wise. It has none of those vibrations that I found so annoying in the V2 racquet, just buttery smooth and comfortable. One contributor to this might also be different grip shapes – my first Angell had grip B, this one has grip C which I greatly prefer. It allows me to use a more relaxed grip, and that possibly lessens the vibrations felt as well. I prefer it strung with full 16g poly at mid-40s tension. The V3 paint job is simply stunning as well, great looking racquet. What a Racquet!! Yes, with the “R” in capital, the is absolutely THE racquet! I own the 63RA, 16×19 320g 310mm balance. 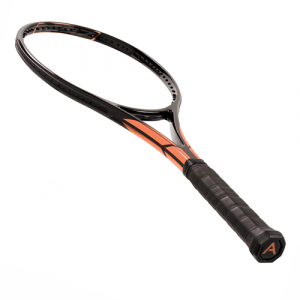 What to say… First impression was: wow, this racquet is amazing! Perfect impact with the ball, no vibrations to the arm but seems to be connected directly to the ball. The racquet, if used properly, has a lot of power, but you need a proper footwork, in fact if you are not balanced well, in this case the ball remain short and with the necessary power. Even if it is a 95 inches, thanks maybe the 16×19 pattern and conformation, it is a proper spin machine, able to give an impressive rotation to the ball, top or slice. The serve is even very good, flat or kick. I have to try volleys, but i think it will be very good even there. In the last couple of years, i played with some Wilson prostock racquets, and this one definitely have the same quality, or maybe a little more! And the cosmetic? The best racquet i ever see before! I have 3 matched TC95s 63RA in 320g/10HL spec. This is a great playing frame that hits a heavy ball, imparts terrific spin, big serving and does not get pushed around. The comfort is excellent yet it is not so dampened and you still get very nice feedback. I have found a good control poly with decent comfort strung mid 40s is a perfect compliment to it. The frame simply allows me to play without a concern and play my all court style. It is a terrific volleys stick and who can resist the black and copper looks. 1. Superb quality, both the frame and the paintjob, which has already taken a lot of framed shots and no a scratch on it. I’d even say it’s a better quality build than the H..d pro stock I used to play with. 2. The flex is indeed “uniform” as it is described at the TT forum; 63 RA is comfortable but definetely not a noodle, it has a certain crispness no it. Wonderful feel, completely connected to the ball, more so than anything else I’ve played with, absolutely NO vibrations and I play without a dampener. Very consistent stringbed – no hotspots, dead spots etc. 4. I don’t feel there is anything that the racquet cannot do and no shot that feels “hard to do”. In my spec it’s very nimble and the thin beam is superbly aerodynamic. 5. Though the string pattern is open I wouldn’t say there’s a loss of control compared to all Head 98 18×20 frames (which are really a 95). Stability is great, spin and power are great (a notch below an APD but a lot better than the Heads and Wilson Blades, the power like a Ai98 but better spin), a very accentuated sense of plow-through. 6. The performance on serve/groundies/volleys really mirrors everything said to this moment. It’s not a magic wand but it will probably improve what you have to some extend. I’m proud I play with a frame from a company that doesn’t look at it’s customers like they are sheep, and that actually puts money into production. I’m about 4,5 on a good day, have about 20 hours with the racquet, strung it with Yonex PTP 1.25 at 25/24kg. I’ve played with lots of Head Mids and MPs (basicallly all the famous ones plus more), Head TGT293.2, Wilson Blades, APDs, Yonex Ai98, Dunlops, Prince Warrior etc. This is the best and most complete racquet out of all of them. I LOVE this racquet! I wanted a racquet that matched the same spec and playability of the old Wilson ProStaff 6.1’s I used to play with, and this sure did the trick! I went with a 70RA 320g 12ptsHL version, and then added 5g at 3&9 and counterbalanced appropriately to reach my desired strung spec of 345g, 10ptsHL, 330 swing weight. Every other racket that was close to being a good solution either gave me tennis elbow, or just was not as stiff/solid as I am accustomed too. Several played great, but left me crippled, and those that did not just left me wanting more… The difference with this racket is that Paul (the owner/architect of all that is Angell tennis) is focused on building a quality product, and does not cut costs on things like foam filling the racket, which for me makes enough difference in shock transmission to allow me to play with this racket without being left crippled afterwards. 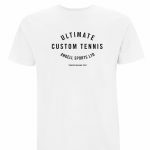 I am a 5.0 power player, that loves cranking 120+ mph serves, and an equally powerful ground game on both wings, so I need the right racket to bring the level of play I am accustomed to. 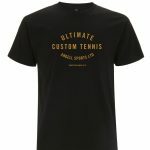 The Angell Custom V3 TC95 16×19 70RA 320g 12ptsHL racket has definitely delivered! How can you not love this racquet!? Power, comfort, spin, control, it is all there. Some people call it Thor’s hammer because it really crashes the ball. So, I got two of these hammers in RA63 perfectly matched. The SW is slightly reduced compared to custom TC95 classic RA63 and V3 swings faster. This racquet is perfect for players who always wanted that TC95 classic RA63 feel but were not sure if they can handle higher SW. And those who like higher SW, now you have even more room for customisation. Almost forgot – the new cosmetics look fantastic!